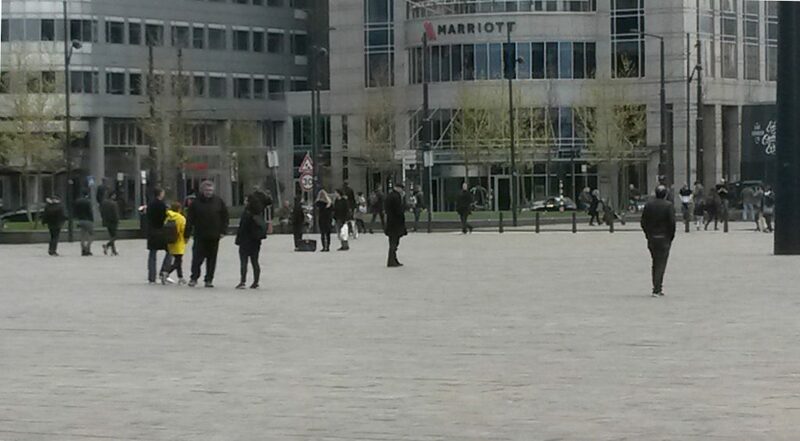 On Saturday, April 15th, 2017, at exactly 14:20 CET, I was standing on Stationsplein, Rotterdam (51 ° 55’24 “N 4 ° 28’13” E), facing Central Station. One minute later I started to move very slowly in an arc to the right to walk a circle with a diameter of about six meters. One hour later, at exactly 15:21, I was back at the starting point and closed the circle. I then entered the railway station and left. This entry was posted in New on 01/04/2017 by Frans.